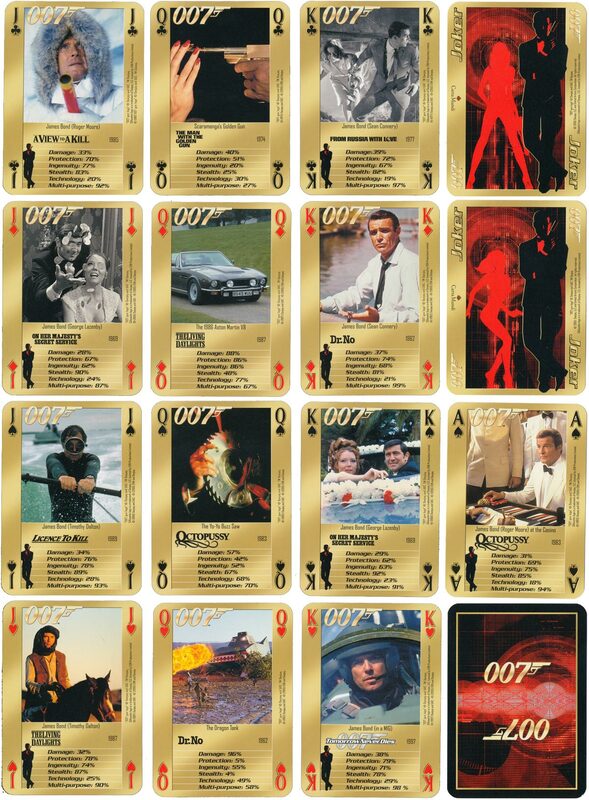 James Bond themed Poker size deck, which doubles as a Trump card game, featuring guns and gadgets from all 22 films with an original picture on every card along with random facts. 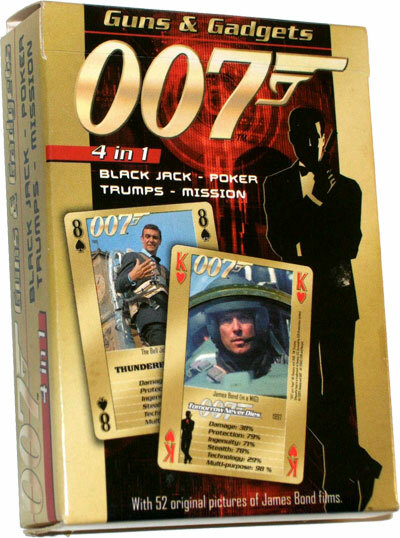 This officially licensed 007 merchandise is perfect for Bond Nights, very versatile and also includes game rules for James Bond Black Jack, Poker, Trumps and Mission game. Printed by Carta Mundi in 2005. Above: “007 Guns & Gadgets” themed playing cards printed by Carta Mundi, © (1974) Danjaq and UAC - © (2005) EON and Danjaq. Images courtesy Matt Probert.